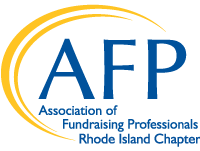 AFP-RI provides professional development opportunities for fundraisers, executive directors, volunteers and others involved in fundraising and nonprofit management. Education and networking opportunities take place throughout the year at various locations in Rhode Island. For details about upcoming education and training sessions, see Chapter Events.